For clients with considerable wealth, advanced estate planning may take advantage of lifetime leveraging, that is, investment and tax strategies that transfer significant wealth at reduced estate transfer tax and administration costs. Gaining an in-depth understanding of your complete wealth picture and goals requires knowledge and understanding of sound planning and accounting strategies. That’s why Morris Hall offers financial and tax planning services through our network of financial planners and the CPAs of MH Accounting. Since we opened our doors more than 40 years ago, our philosophy has always been to help families preserve their wealth and achieve their long-term financial goals. To this end, we offer free estate and financial plan reviews. In correlation with your MH attorney, our licensed financial planners will answer your questions regarding specific strategies that may be available for funding your trust and protecting your personal property and financial assets from the devastating effects of estate taxes and administration expenses. 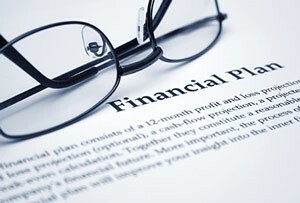 Meeting with a licensed financial planning specialist will be an ideal opportunity to coordinate your financial planning goals with your estate planning documents. Contact us to arrange a consultation with an experienced financial advisor today. Our offices are located in Phoenix, Tucson, Albuquerque and communities throughout Arizona and New Mexico.